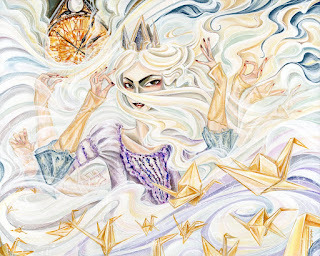 Sara Richard's Blog: Hero Complex Gallery Alice Show! Hero Complex Gallery Alice Show! Holy wow, my piece that will be in the Hero Complex Gallery tonight (May 20) in Los Angeles was used in a Nerdist article here! Check out the official Disney Alice: Through The Looking Glass art show if you're in the area. There's official prints of this piece but only through the gallery!